In the logistics industry, every bit of space is made use of. This also applies to caravan storage. At Arendse Caravans the storage and positioning of a caravan is done by means of an electric tractor equipped with a wireless remote control made by Tyro. The V-Move XL electric tractor produced by Verhagen Leiden is not delivered standard with a remote control. The owner of the caravan storage soon realized that the work could be done more efficiently. 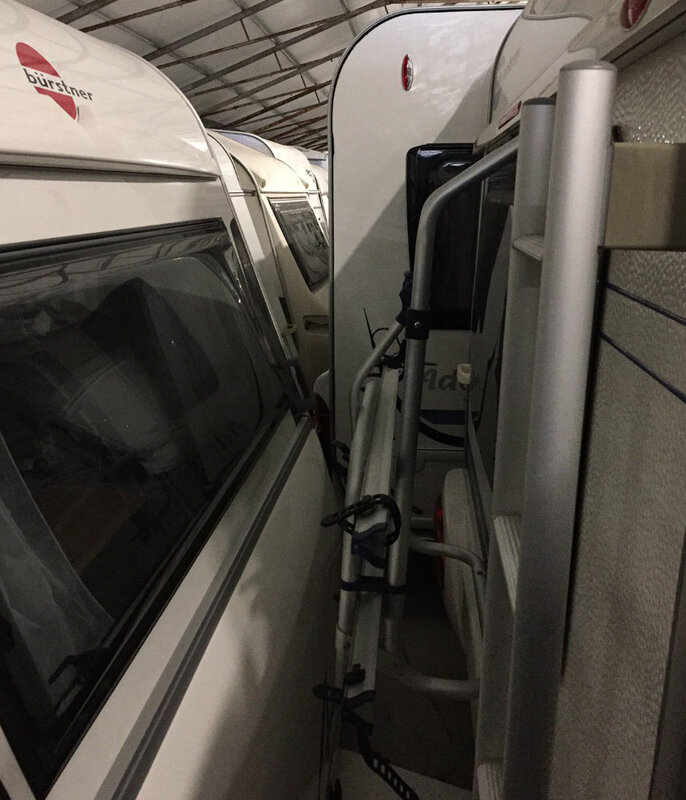 When reverse parking a caravan, there is not much space behind it and often the plating is damaged sooner than you expect. To avoid this people mostly first stop to assess the situation and see how far the caravan can be reverse parked. This can be time consuming when you need to walk to and fro to safely use every centimetre. The idea of a wireless remote control mounted on an electric tractor was born. 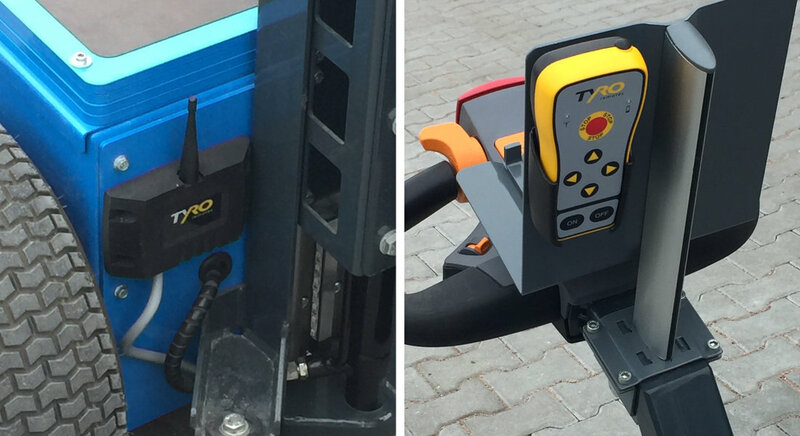 Henk Arendse contacted the specialists at Tyro Remotes and together they built a custom-made solution. Installing the receiver with remote control was very simple and the operation beyond expectations. First drive the caravan approximately a metre on the correct parking place, then use the remote control to park the caravan accurately down to a centimetre. With the four function keys on the Sedna remote control Arendse does not only drive forwards and backwards; also the swivel / jockey wheels on the electric tractor can be steered. The control reacts within a few milliseconds which also makes you feel safe and secure. This entry was posted in Trolleys. Bookmark the permalink.